Anaemia and low 25 hydroxyvitamin D (25D) and 1,25 dihydroxyvitamin D (1,25D) levels are common in older people and may adversely affect morbidity and mortality. While there is some evidence for an association between low serum 25D levels and anaemia, there are limited studies among community-dwelling older people. In addition, the relationship between anaemia and the active vitamin D metabolite, 1,25D, has not been investigated. 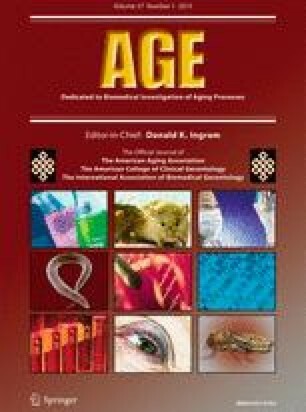 The aim of this study was to examine the associations between serum 25D and 1,25D with anaemia in community-living men aged ≥70 years. Population-based, cross-sectional analysis of the baseline phase and longitudinal analysis of the Concord Health and Ageing in Men Project (CHAMP), a large epidemiological study conducted in Sydney among men aged 70 years and older, were performed; 1666 men were seen at baseline (2005–2007), 1314 men at a 2-year follow-up (2007–2009) and 917 at a 5-year follow-up (2012–2013). The main outcome measurement was haemoglobin levels as a continuous measure. Covariates included 25D and 1,25D, estimated glomerular filtration rate, demographic information, lifestyle measures, health conditions and medication information. The prevalence of anaemia (Hb < 13.0 g/dL, WHO definition) was 14.6 %. In cross-sectional analysis, serum 25D concentrations were positively associated with haemoglobin levels in unadjusted analysis (β value 0.004; 95 % confidence interval (CI) 0.0009, 0.007; p = 0.01), but the associations were no longer significant after multivariate adjustment. The association between 1,25D levels and haemoglobin levels was significant in unadjusted analysis (β value 0.003; 95 % CI 0.002, 0.004; p < 0.0001) and remained significant in adjusted analysis (β value 0.001; 95 % CI 0.004, 0.003; p = 0.01). Serum 1,25D (but not 25D) levels at baseline were significantly associated with changes in haemoglobin over 2 and 5 years in unadjusted (β value 0.002; 95 % CI 0.0009, 0.003; p < 0.0001) and in fully adjusted analyses (β value 0.001; 95 % CI 0.0004, 0.002; p = 0.001). Serum 1,25D, but not 25D, concentrations are independently associated with haemoglobin levels in older men in both cross-sectional and longitudinal analyses. This raises the question whether vitamin D metabolites may influence anaemia states, mediated through different biological pathways, or represent a time-dependent biomarker of chronic ill health. The CHAMP study is funded by the National Health and Medical Research Council and the Ageing and Alzheimer’s Institute. We thank all the staff working on CHAMP and the participants in the project. VH is funded by the Australian Research Council (ARC) Centre of Excellence in Population Ageing Research (CEPAR). The views expressed are those of the authors, not of the funders. Data analysis and interpretation were carried out by the authors independently of the funding sources based on the available data. The corresponding author had full access to the survey data. The funding body played no role in the formulation of the design, methods, subject recruitment, data collection, analysis or preparation of this paper. VH had the idea for the paper, conducted the analyses, interpreted the results and wrote the first draft. All authors contributed to revising the earlier drafts and approved the final paper.